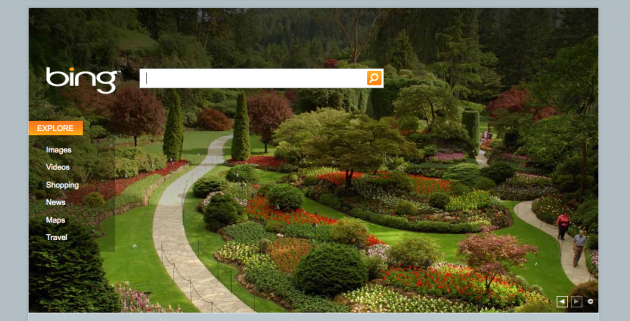 It may sound kind of silly, but when I talk to people outside of the tech world about Bing, the first thing brought up is usually how they like the pictures. 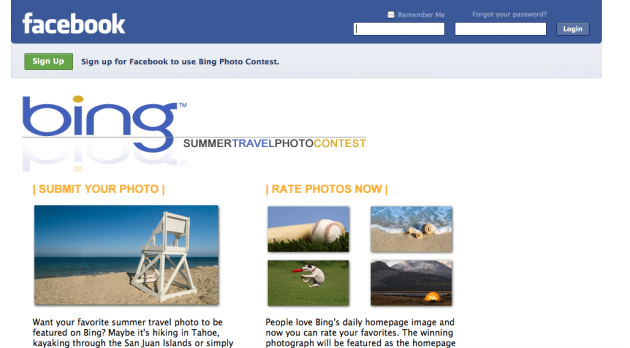 And now Microsoft has created a contest on Facebook to let one user get their own picture featured on Bing . The Bing Summer Travel Photo Contest is asking Facebook users to submit their best summer vacation photos. The community will then vote on them, and the winner will get its day in the sun, so to speak, on Monday, August 3 — appearing to the millions who visit Bing on that day. * The image should make you want to find out more about it. * The subject of the photo must provide enough interest to program all the content that we use to support that exploration. * Strive for subtlety and poetry. You shouldn’t have to know that it’s Halloween, Columbus Day, or Boss’s Day to enjoy the photo.